Andrew Sturdy is a graduate of the University of Manchester (BSc, 1983; PhD, 1990). He has held academic posts in various institutions including a lectureship at the University of Bath, a senior lectureship at the University of Melbourne, Australia and a readership at Imperial College London. In 2004, he became a professor of organisational behaviour at Warwick Business School, University of Warwick, where he was subsequently appointed Associate Dean. In 2010, he was appointed as Head of the Department of Management at the University of Bristol, a post he held for 8 years. 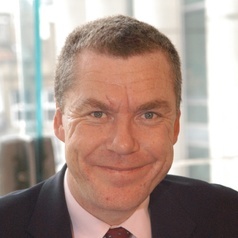 Professor Andrew Sturdy's research interests focus mainly on issues of power and identity in the production and use of management ideas, especially in relation to management consultancy and organisational change. He has published widely on these topics in articles and books and led two ESRC-funded research projects on management consultancy. He advises various organisations on the use of management consultancy and has a public policy interest in this area. He is an Associate Editor of the Journal of Management Inquiry and Visiting Professor at the VU Amsterdam. My main expertise lies in the development, use and spread of management ideas and innovation, especially through management consultancy. I have led major research projects on internal and external management consultancy (including two projects funded by the Economic and Social Research Council in the UK resulting in two books - Management Consultancy, Oxford University Press, 2009 and Management as Consultancy, Cambridge University Press, 2015). I advise companies, government departments and industry bodies on the use of consultancy.